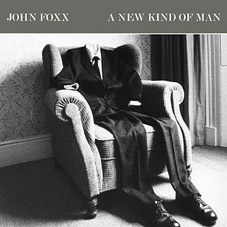 Some 27 years after the original release of Metamatic, John Foxx finally took the album on the road in late 2007, playing it in its entirety, in support of a new 2-disc remaster. A New Kind of Man is not a recording of just one show, but made up from different recordings taken throughout the UK tour. Opening with the haunting instrumental, “Film One”, the songs of Metamatic and all it’s associated b-sides, are played in a new order, which brings a freshness to it. The title track itself is simply electrifying, and makes its live debut alongside other tracks such as “030”, “Blurred Girl”, “This City” and “My Face”. The empty grey suit image, previously used as the single cover to “Miles Away”, finally gets to hog the limelight on the cover artwork of this CD. While this image may not particularly represent the live recording inside, it is appropriate to the music of the Metamatic era, and the recurring quiet man image that has continued to fuel Foxx’s song writing since the Ultravox days. With the complete 2-disc remaster of Metamatic on the shelves, A New Kind of Man provides a suitable ‘bookend’ to that whole era. Perhaps in 2007, John Foxx felt it was at long last the right time to play this classic album live, not having originally toured for its original release back in 1980 – and anybody who attended the tour will feel lucky to have this souvenir recording.